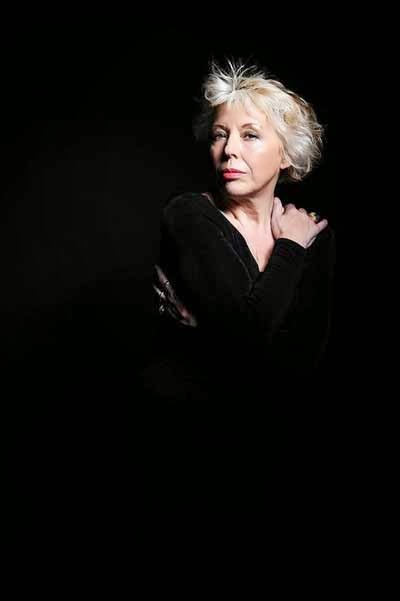 Barb Jungr is no stranger to the music of Bob Dylan or Leonard Cohen, having performed their works to both critical and popular acclaim throughout her near-forty-year career. Yet with her latest album, Hard Rain (The Songs of Bob Dylan & Leonard Cohen), on which the British vocalist collaborated with pianist and album producer Simon Wallace in arranging eleven songs that share some thread of timeless political or social import, her familiarity with the material didn’t make the task of interpreting it any easier or less daunting. Such dogged determination ultimately served the album well overall as Jungr’s performances, which through moments of jazz sophistication and cabaret panache are strikingly prescient. In their own way, as well, they yield illuminating perspectives on the canons of two of popular music’s most iconic and mythologized singer/songwriters. How difficult was it to marry the works of Dylan and Cohen as you’ve done with this album? It was really easy. It was remarkably easy. The choices of the songs were effortless. They fell in at their own accord. I’m familiar with both sets of repertoire, but picking the songs really wasn’t difficult in any way. What was extraordinary for me was how very married the themes were but from a very different point of view. That was interesting. Dylan’s known for having written many of his early songs very quickly—“Blowin’ in the Wind” took him twenty minutes, he’s acknowledged—while Cohen has a reputation for having taken years writing much of his work, yet it’s striking how well they complement each other. Absolutely, and I think you can hear the difference. For example, “Chimes of Freedom” to me is just a mammoth, extraordinary song and, for me, it shows Dylan at his most humane. There’s a humanity about that song that’s startling for me. It’s a wonderful song to sing for that reason, but it’s a sort-of torrent of imagery. You can almost feel it emerging as you sing it; the song emerges itself. Then you take a song like “A Thousand Kisses Deep,” and what I love about Cohen is the way he’ll use words again, he’ll use phrases again, but their repeated use is utterly deliberate. I don’t mean because they’re choruses; that’s not what I mean. He’s playing with threads all the time. It’s a very fine, fine work he does; it’s finely honed and it’s very different to the way Dylan works. I love that about both of them. Dylan has said, especially about early songs like “It’s Alright, Ma (I’m Only Bleeding)” and “Chimes of Freedom,” that he was not the prime force behind those songs, that they were instead channeled through him. I love that he says that. I love that in his autobiography—in that first volume, the only volume of the three that we’ve ever seen—he talks about when Daniel Lanois comes to him and says, “Can we have another song like “Hard Rain?” and Dylan says, “The spirits that gave me those songs aren’t with me anymore.” I thought that was incredibly self-aware. There’s something very, very astonishing about understanding that and carrying on. Dylan seemed to have a grasp on the world around him right from the beginning, whereas Cohen’s grasp seems to have evolved more as he’s aged—and maybe that’s simply because he started later as a recording artist—particularly with albums like The Future. But again, who cares how you get to the top of the mountain? You went up the challenging path with crampons; you walked up the easy slope. It doesn’t matter. What matters is you got there. That’s very interesting, I think, in the comparison of those two: how they go about getting there. They both get there. They both get to something profound and spiritual and deeply-connected, profound human observation and questioning. They’re questing. What, in part, gives this album such a compelling character is how you’ve taken liberties with the arrangements in ways that make the performances your own. You’re not copying these songs; you’re interpreting them. For instance, in a song like “It’s Alright Ma” you have an upbeat arrangement that seems to play against the ominous subtext of the lyrics. Did you intend for those sorts of paradoxical moments? When that happens that happens by chance rather than design. When we’re arranging, I never go into arranging thinking, “What I want this song to do is…” I go into an arrangement thinking, “What could happen with this song if we listen to it differently?” We ask questions. We try things and we ask questions of the song. We sit the song down at the piano and we go [to the song], “How do you feel if we do this? How do you feel if we moved that section about?” And the song is very clear. The song will go, “Yeah, I like that,” or, “What are you thinking? Don’t be an idiot.” We know that straight away from the song. The songs are like live things—living, breathing things. We’re talking about real songs here, songs that Dylan channeled, songs that Cohen crafted, those kinds of songs; songs that come from something really deep that’s to do with the art of songwriting, those songs. They’re alive in the world and when they come to me—and they do come to me—and they knock on my door and ask me to sit with them at the piano with Simon Wallace in this instance, then we have to be awake and alert to what they’ll accept. Yes, I did. I couldn’t make it work. The song didn’t want to come. We brought the song to the piano and the song sat on the piano and said, “Get lost.” [Laughs] Interestingly, into the live collection we put “The Future.” That song sat down at the piano and jumped about like a pea in a pod. It was fantastic. We found a great way of working with the song and the song comes out live and rips people out of their seats. I do it after “Masters of War,” and it’s a very interesting juxtaposition of those two songs together. In singing songs in which the lyrics are not transparent—particularly ones that have been open to interpretation for many years now—do you have to form some meaning for yourself in order to deliver it with conviction? Two things about that… I tend to be drawn to and songs are drawn to me—that is, it’s not a one-way street—that I feel can resonate for me. I don’t like analysis because I have to be an instrument for the song—I have to be a singing instrument for the song—and I play by the text. So my technique is the amount of vocal quality I can bring to the text that the text will ask in any given moment. The second part of it is that if I stay completely out of the way, if I do not impose my will upon the song—if I don’t use the song to tell you what I think, but I let the song tell me what it thinks—then the audience will get what the song thinks. And that’s far more interesting. So that means in every singing of the song I get something different because the song’s always got something new to tell me, because with songwriters like Cohen and Dylan the work is Shakespearean. It’s multifaceted and it’s mysterious. It isn’t a clear thing. It’s not, “This is a song about traffic control.” It isn’t simple. These are songs about the human condition. Hard Rain (The Songs of Bob Dylan & Leonard Cohen) is available now on Kristalyn Records. For more information on Ms. Jungr, please visit her official website.